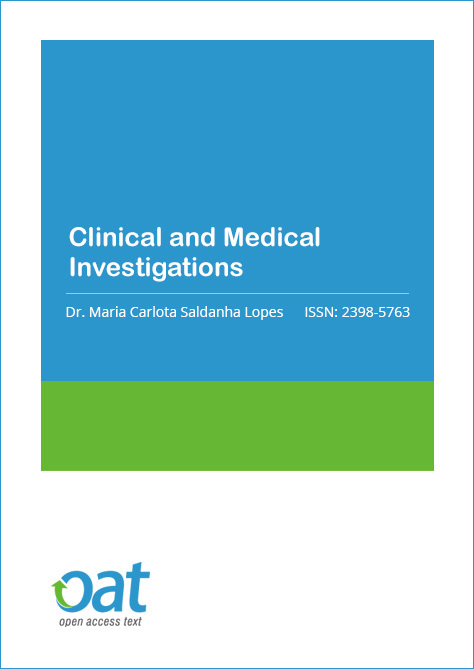 Clinical and Medical Investigations is an Open Access peer-reviewed international journal. Clinical Investigations journal plays an important role in transforming the ongoing research work to diagnosis and cure the diseases. It helps the global research scholars to stay updated on various clinical and medical disciplines. Clinical Investigations journal allows free access to its contents and researchers can download the latest published work. The journal makes a token charge for processing and publication of manuscripts. Clinical Investigations journal provides updated knowledge on all areas of clinical and medical sciences. Clinical Investigations journal will feature original research including clinical and experimental research, case reports, review articles in medicine. These reports include full-length papers on original research, rapid communications of new discoveries, letters, commentaries, and invited reviews. Clinical Investigations journal aims to bring out new technologies to overcome the challenges in medicine filed and covers technical and clinical studies related to health, ethical and social issues in the field of Medical Practice & Investigations and Allied Sciences. The journal, Clinical Investigations is addressed to both practicing professionals and researchers in the field of medicine, professionals in academia, former researchers, students and other specialists interested in the results of scientific research and related subjects covered by the journal. Copyright is retained by the authors and articles can be freely used and distributed by others. Articles are distributed under the terms of the Creative Commons Attribution License (http://creativecommons.org/licenses/by/4.0/), which permits unrestricted use, distribution, and reproduction in any medium, provided the original work, first published by CMI, is properly cited. She has worked as an Editor in Chief for the Bulletin of the PSHM www.hemorreologia.com. 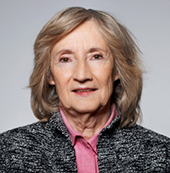 She is an active member of European Clinical Hemorheology Coordinating Committee, Strategic Group of the European Society of Microcirculation, Scientific Advisory Committee of the 5th Eurosummer School on Biorheology Symposium on Micro and Nano Mechanobiology of Cells, Tissues and Systems. She has contributed to the growth and reputation of many international Journals like Clinical Hemorheology and Microcirculation, Open Circulation and Vascular Journal, Sciedu Press, Case Reports in Clinical Pathology, Journal of Cellular Biotechnology, Journal of Eye Disease and Frontiers of Physiology (Red Blood Cell ). Her research interests includes Biochemistry; Cellular Physiology; Erythrocyte membrane; Enzimology; Metabolism. Inssflammation. Vascular Biology. Vascular diseases. Signal transduction mechanism. Pedagogical Competencies: Quality Assurance. Medical Education. 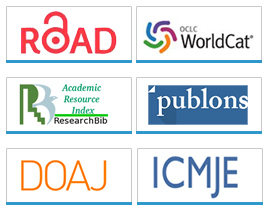 Publications on International Peer Review Journal – 139 until 2018 April. She has published in over 126 national Journals. President, EKG Technology Lab, Inc.
Institute for Community Developemnt & Quality of Life Faculty of Medicine, Universiti Sultan Zainul Adidin 21300 Kuala Terengganu, Malaysia. Clinical and Medical Investigations is an Open Access journal and we do not charge the end user when accessing a manuscript or any article. This allows the scientific community to view, download, distribution of an article in any medium, provided that the original work is properly cited, under the term of "Creative Commons Attribution License". In line with other open access journals we provide a flat fee submission structure on the acceptance of a peer-reviewed article which covers in part the entirety of the publication pathway (the article processing charge). The process includes our maintenance, submission and peer review systems and international editing, publication and submission to global indexing and tracking organisations and archiving to allow instant access to the whole article and associated supplementary documents. We also have to ensure enough investment to secure a sustainable model which ethically, legally and financially stable. The publication charges for Clinical and Medical Investigations are GBP 1200. Human beings have used plants, plant constituents, herbal preparations, and finished herbal products for centuries and for a variety of purposes, among others as foods; for clothing and shelter; as medicinal agents; as stimulants, narcotics, and hallucinogens; to prepare poisonous arrow- and spearheads for warfare and hunting; and as dyes, aromatics, and cosmetics. The latter use dates back to ancient times, and virtually all civilizations have extensively used herbs to enhance appearance and attractiveness, increase virility and fertility, prolong life and delay aging, enhance mental performance, improve hygiene, and preserve general health. Herbal cosmetics are considered highly effective in beauty treatments with few side effects, and the demand for these products is growing all over the world. A few well-known examples are preparations based on Aloe vera, avocado, almond, henna, sandalwood, saffron, neem, and lavender. These products have been fairly well investigated with regards to their pharmacologically active principle(s) and safety. Various societies throughout the world use many other herbal cosmetics that are less known but are now, due to increasing globalization, rapidly finding their way to mainstream markets. In addition to this brief list of possible topics, we welcome submissions addressing other aspects of herbal cosmetics. We welcome research articles, research reports and research reviews. Articles for this special issue should be submitted by June 30, 2017. The manuscripts should be prepared according to the guidelines and the format of the journal.